and let us take care of everything for you. Have you considered an alternative to bathroom tiles? We offer brand new ranges of tile, wood and stone effect PVC panelling that provides a robust and easy to clean alternative to traditional bathroom tiles. A complete refurbishment in under 3 days! 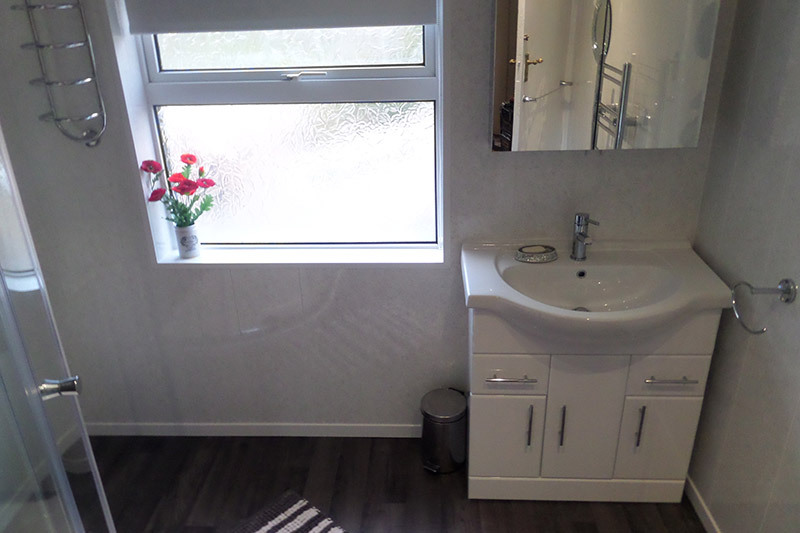 From new bathroom design ideas to delivery of complete bathroom in 2 or 3 days with minimum disruption and absolutely no other headaches to worry about. We take care of everything as part of our complete bathroom fitting service. 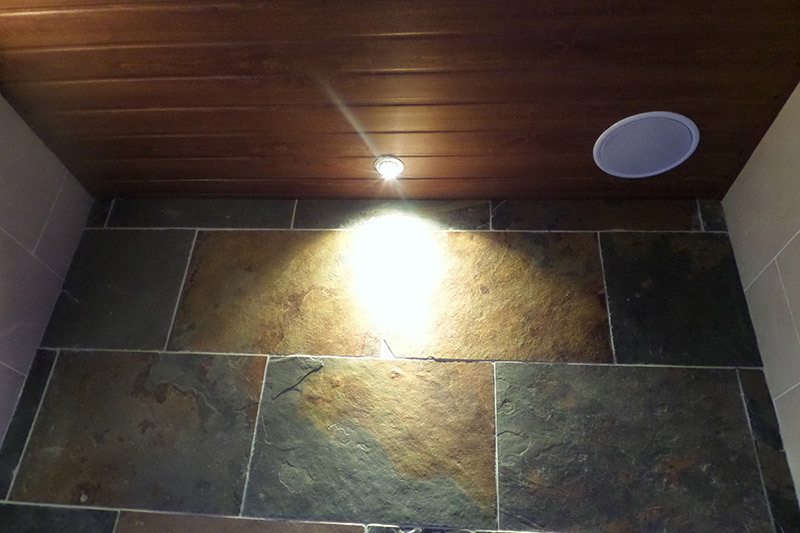 All our workmanship is fully guaranteed for 12 months. We also have one of the best after care services available, responding to any snags you encounter immediately! Ask any of our clients. How long does a refurbishment take? Do we have to use PVC panelling? Although we recommend our PVC panel range for durability, easy maintenance and speed of install, we also undertake traditional tile refurbishments. Basically we will cover the entire province. If you live anywhere in Northern Ireland then GH Interiors has you covered! What are the benefits of using PVC? Benefits of using PVC include the maintenance free aspect of it, there is no grout to maintain, its easy to clean, it acts as an insulator compared to ceramic tiles, it will stop dirty mould coming through walls and ceilings, and with the brand new ranges and designs out now a lot of people prefer the prestigious look. We have gone back into a house that was refurbished 5 years previously and it has still looked as good as the day we left. Can we have a new design for our bathroom or do you just provide like for like replacements? Do we have to organise any other tradesmen to get the job done? 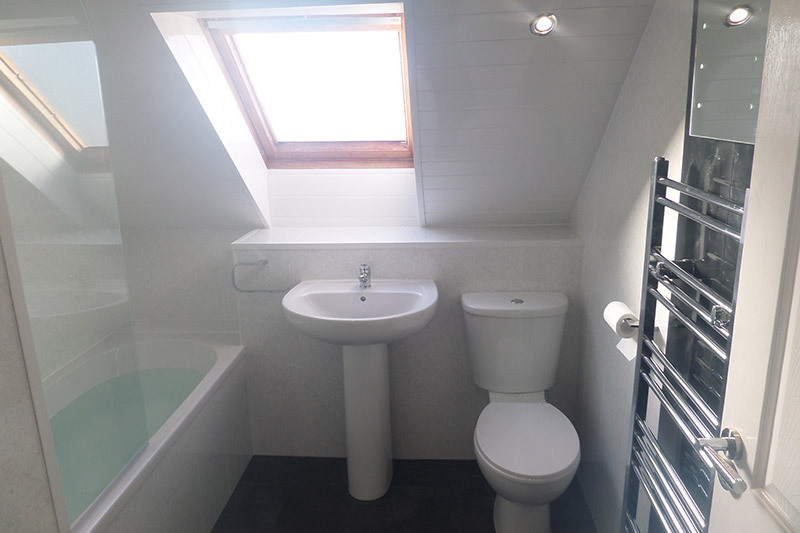 No, GH INteriors are a full service bathroom refurbishment company and we undertake every aspect of the refurbishment from start to finish so you have no other headaches or anything to worry about. We are a family run, complete bathroom fitting service, company with over 15 years experience and hundreds of bathroom and kitchen refurbishments under our belt. We specialise in PVC panelling solutions. We pride ourselves in delivery high quality and affordable bathroom and kitchen refurbishments across the whole of Northern Ireland. If you'd like to see regular updates (video and photos) of new bathroom refurbishments and in particular some excellent alternatives to bathroom tiles that are robust and easy to keep clean then subscribe to our youtube channel or like us on facebook. © 2014 Website created and tweaked by daveharrison.net web designer for small businesses in Northern Ireland.